Photographer: Jason Hetherington. Model(s): Coco Rocha. Source: Glass Magazine. Stylist: Gemma Hayward. 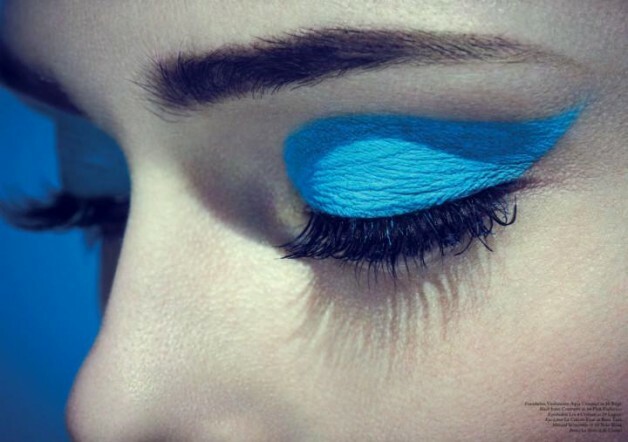 Makeup: Kim Brown / Richard Scorer. Everything’s coming up Coco. 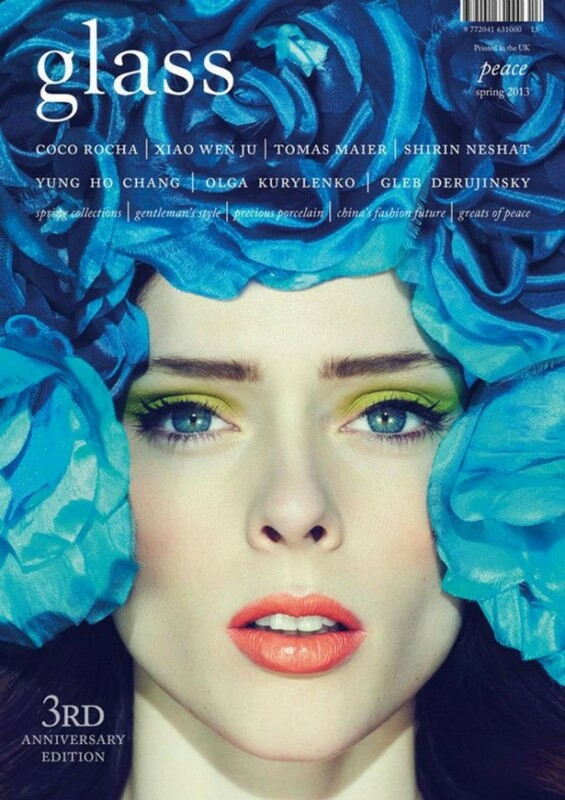 In this captivating cover-story for the 2013 Spring Glass Magazine #13, Jason Hetherington captures the many colors of Coco Rocha. More than a model, this edgy editorial endeavors to give us a glimpse inside the mind of a modern pioneer. Always exploring her every possibility, this industry leader isn’t interested in doing things the easy way, she’s looking to ignite innovation. Fighting on the front lines of fashion, Rocha is out to prove today’s top model isn’t dispensable, with the help of The Model Alliance. A group of like-minded models dedicated to securing legal and protective rights within the industry, Rocha and her pals are daring to reclaim their rightful place on the covers of the magazines they fill. As part of the “Super Model backlash of the 90’s,” many commercial publications began to feature celebrities on their covers, hoping the high fashion girls would stay in the background, happy to do the beauty grunt work for no real recognition. However, that decision reaped it’s own repercussions. With the great crossover came the systematic lowering of artistic standards, thereby, changing the landscape of modern fashion photography. It’s true that the greatest thespian alive may be able to bring down the house, but they don’t possess the same editorial appeal as our finest high fashion models. Achieving avant-garde excellence isn’t simply getting garbed-up in haute couture, it’s the ability to penetrate through the page and bring the creative to life. The art of expression has many forms, and the talent it takes to execute a photographers vision requires a unique skill set and a specific kind of beauty. And it’s those uniquely gifted individuals that deserve the coveted cover spots, and the name recognition that comes with them. Money may drive the mainstream, but true art is built by the innovative minds of the masters. Those willing to take a stand on this issue may be the very thing that could effect true change. But more than her altruistic nature, Rocha may be our first real hope to build a bridge between the commercial world and that of high fashion art. Where others have failed, Coco may be able to fly. Her undying commitment to the art of modeling sets her apart from her predecessors, with the most powerful distinction being that this girl has truly reached the heights of high fashion. Edgy, independent and artfully driven, one doesn’t get the feeling she is all about building a brand, her motives seem more geared toward the greater, global picture.